If you’re planning to tender for service and maintenance contracts, the most difficult part may be actually writing up the tender. Not everyone is a skilled writer, and tenders also have specific rules and requirements that you have to follow if you want a chance at winning. In recent posts, we talked about whether you should tender for a bid and what to put in your tender. 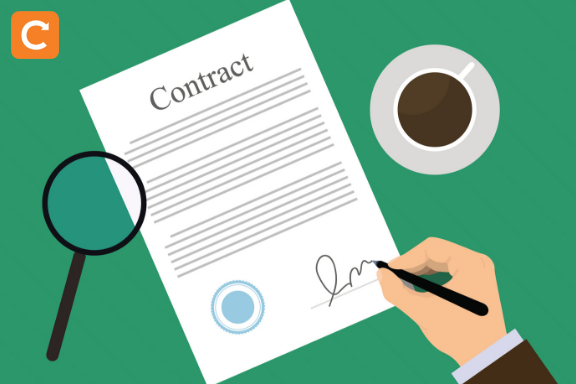 Now that you have an opportunity that’s right for your field service business and know the basics of what goes into a tender, let’s delve into the writing aspect of tendering for a contract. How do I write a tender that wins contracts? Gather your materials. Keep all your research, data, and stats handy so you don’t lose your focus as you write. Analyse the questions. The buyer tells bidders the solution they want, but not the problem they’re trying to solve. The questions reveal what the problem really is, so you can address it in your tender. Nail the style. Use active voice, keep it short and concise, and avoid flowery language and jargon. Use this “one weird journalism trick”. When you’re missing key information, drop in the journalism term “TK” and keep going so you don’t break your focus. Then go back and fill in the missing info. Proofread the tender. Ensure you have a consistent voice, proper grammar, and no typos. Consider hiring a pro. If you don’t have the time or skills to write a tender, hire someone who does. This may sound like a lot, but don’t worry—we’ve got you covered. Read on for details and expert tips. Access your field service management software to analyse your first-time fix rate, response times, and so on. Open up browser tabs to websites that have stats and data you can use, such as government websites and certifying bodies for your industry. Open up your business website if you have any copy on there you may want to swipe from. Gather any paper materials you have, like policy manuals and financial documents. Having all this together will keep you from losing steam if you suddenly realise in the middle of writing the tender that you’re missing a vital piece of information. Naturally you want to answer all the questions the buyer asks, but there’s another, more important reason for analysing the questions: It helps you figure out what the buyer really needs, so you can address that in your tender, says Tony McKelvie, a Director at Tenders-UK in Leicestershire. For example, say there are ten questions for an HVAC contract, and four of them are on the topic of safety. The buyer could have asked all kinds of questions about your financial model or your service delivery model, yet 40% of the questions are on safety. What could this mean? Speaking of compelling reading, imagine being the poor evaluator reading through piles of dry, boring tenders. Eventually they all blend together into an undifferentiated pile of blah. While humour and flowery prose aren’t a good fit for a tender, that doesn’t mean your tender has to read like a business memo. Here are some style tips for keeping things interesting. Use bullet points and other formatting methods to enhance readability. Keep your language positive and engaging. Ditch the jargon and fancy words. Don’t use a long word when a short one will do. Be active. Overusing the passive voice (“The boilers were installed by XYZ Heating”) makes your writing sound weaker and less direct. When you can, use the active voice (“XYZ Heating installed the boilers”) instead. Need more help? You’ll find some very good advice in the article How to Write in Plain English from the Plain English Campaign. Use this “one weird journalism trick”. Earlier we talked about not losing your concentration. Chances are, even if you think you’ve gathered everything you need before you start writing, you’ll still discover at some point that you’re missing a key piece of information. Here’s a tip from journalism on how to keep rolling even when that happens: Use the term “TK”, which stands for “to come”. (There are lots of theories as to why it’s a K and not a C.) Journalists drop this term into articles when they know they’re missing info but want to keep moving along. When you’re done with your tender-writing session, do search for the “TKs” in your document and do whatever research is needed to fill in the missing details. Once you have your tender written, it’s time to make sure it’s perfect. That’s where proofreading comes in. Eliminate all distractions before undertaking this step, because proofreading is detail work that requires a lot of focus. A consistent “voice,” especially if you have information from other stakeholders or contributors in the document. Then follow these next tips for making sure you catch every last mistake in your tender; these tactics come from your humble blogger’s 20 years of journalism experience, so while they may sound weird...they work. That's right: Start at the end and read your piece of content backward. This will help you catch misspellings and misused words you didn't notice before. If you’ve ever copied-and-pasted a letter you wrote (and edited) in a word processing document into an email, you’ve probably noticed how you suddenly discover yet more errors. Changing the font in your original doc before the final proofread, for example from Helvetica to Times, can have the same effect. Just be sure to change it back to the one you want the buyer to see! If you’re not confident in your ability to write a tender, it might make sense to hire a business that can support you—so you can spend your time and resources on actually running your business. ‘Are you the best person to do it, or are you better off working with someone who you can tell what's in your head and then they can put it in the right format?’ says David Williams, Director of Purple Patch Marketing Consultants in Essex. You’ll find many tender-writing services online, including our experts from Purple Patch Marketing Consultants and Tenders-UK. There are a lot of moving parts in the tender-writing process. Beat the overwhelm and write a winning bid, downloadable Tender Writing Checklist below.